By visiting the STUART MEMBERY website, you accept & consent to these Terms and Conditions These Terms & Conditions may change from time to time without notice, and STUART MEMBERY recommends you check back regularly to review any potential changes. You must be 18 years or over to use or register with STUART MEMBERY & STUART MEMBERY HOME. If you are under 18 years of age then your parent or guardian must consent to the Terms and Conditions of this website before you register for or use the services of “THE SITE “. This website is owned and operated by STUART MEMBERY. These Terms & Conditions and any matters connected with any order placed on our website are governed by international law. In these terms & conditions, the expressions ‘we’, ‘us’ & ‘our’ are a reference to STUART MEMBERY & STUART MEMBERY HOME & includes its related entities. These terms & conditions apply to the use of this web site. In using this web site, you agree to be bound by these terms & conditions. If you do not accept these terms & conditions, you must refrain from using the web site. These terms & conditions must be read in conjunction with any other applicable terms and conditions governing the use of this web site. All information provided by us at the web site is provided in good faith. We derive the information on our web site from sources which we believe to be accurate & up to date as at the date of publication. We nevertheless reserve the right to update this information at any time. You accept that any information provided by us is general information & is not in the nature of advice. In addition, we do not make any representations or warranties that the information we provide on this web site is reliable, accurate or complete or that your access to that information will be uninterrupted, timely or secure. We are not liable for any loss resulting from any action taken or reliance made by you on any information or material posted by us on this web site. You should make your own inquiries & seek independent advice from relevant professionals before acting or relying on any information or material contained on our website. You agree to use our web site for lawful purposes only. The materials and information provided on this Site & related communications are provided on an “as is” basis. 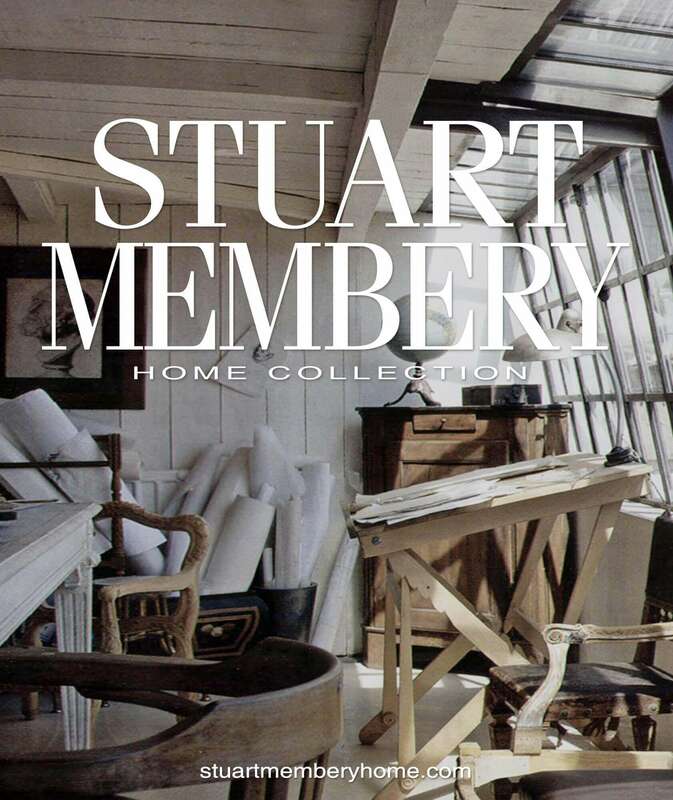 STUART MEMBERY & STUART MEMBERY HOME assumes no responsibility for, & makes no representations to you or any other person with respect to the accuracy of the information on this Site. Any reference to products or services on this Web site is for information purposes only & does not constitute an endorsement or a recommendation of those products or services by STUART MEMBERY or STUART MEMBERY HOME.Subject to any non-excludable or implied provisions at law, STUART MEMBERY & STUART MEMBERY HOME expressly disclaims any warranties or conditions of any kind, including warranties of merchantable quality, fitness for a particular purpose, or non-infringement of intellectual property rights relating to information or materials accessible from or on this Site. STUART MEMBERY & STUART MEMBERY HOME shall not be liable to you for any damages whatsoever including, but without limitation, special, indirect, consequential or incidental damages, & including, but without limitation, damages resulting from use of or reliance on the materials or information presented on this Site, loss of profits or revenues, business interruption, loss of programs or other data on your information systems or costs of replacement goods, or otherwise, even if STUART MEMBERY & STUART MEMBERY HOME expressly disclaims any warranties or conditions of any is expressly advised of the possibility of such loss or damages. STUART MEMBERY & STUART MEMBERY HOME expressly disclaims any warranties or conditions of any accepts no responsibility or liability from your use of this web site & you will indemnify & hold STUART MEMBERY & STUART MEMBERY HOME harmless from & against any claims, damages, costs & expenses as a result. In order to access certain parts of this web site, or process certain transactions offered on this web site, you may need to become a registered user. We reserve the right to terminate your registration & to withdraw your access to this web site at any time if you breach these terms & conditions, or if we consider that you are using the services provided on this web site in an inappropriate manner. You must ensure that your registration details are true & accurate at all times. Specifically, you must notify us of any change to the registration details as originally supplied. You must not disclose your password to another person, or permit another person to use your password to access this web site. The following terms & conditions of sale (‘Conditions’) apply to the supply of goods (‘Products’) or services by STUART MEMBERY & STUART MEMBERY HOME expressly disclaims any warranties or conditions of any to you, including all transactions for the purchase of Products & Services through this web site. In these terms & conditions, the expressions ‘we’, ‘us’ & ‘our’ are a reference to STUART MEMBERY & STUART MEMBERY HOME expressly disclaims any warranties or conditions of any & includes its related entities. Images, drawings, sizes & materials relating to products & accessories displayed on this web site are for illustrative purposes only. Actual color specifications for a particular product may vary depending on your personal computer settings, natural variations in hand made products and materials, dyes etc. This site is owned & operated by STUART MEMBERY & STUART MEMBERY HOME. All content, including, but not limited to, photographs, pictures, designs, written and other content, are copyrighted to STUART MEMBERY. The reproduction/downloading of any content is prohibited without the consent of STUART MEMBERY. This site & its contents are for personal use only. These Terms & Conditions are governed by the laws in force in Australia & you irreversibly & unconditionally submit to the non-exclusive jurisdiction of the courts of Australia & any courts that may hear appeals from those courts. STUART MEMBERY & its representatives & associated agents are not liable to you or any other for any loss in connection with the use of this Site or a Linked Web Site. We do not accept any responsibility for any loss or damage, however caused (including through negligence), which you may directly or indirectly suffer in connection with your use of this web site or any linked web site, nor do we accept any responsibility for any such loss arising out of your use of or reliance on information contained on or accessed through this WEBSITE. Any exclusion or limitation of liability set out in these terms & conditions or on the web site does not attempt or purport to exclude liability arising under statute if, & to the extent, that such liability cannot be lawfully excluded. You must take your own precautions to ensure that the process that you employ for accessing this web site does not expose you to the risk of viruses, malicious computer code or other forms of interference, which may damage your own computer system. We do not accept responsibility for any interference or damage to your own computer system that arises in connection with your use of this web site or any linked web site. You acknowledge that any opinions or advice by third parties on this web site remain the responsibility of those third parties & we do not guarantee the accuracy, completeness or usefulness of that content or its fitness for any particular purpose We do not purport to endorse the contents of that opinion or advice nor the accuracy or reliability of that opinion or advice; & We do not accept liability for loss or damage caused by your reliance upon any information obtained through this service and it remains your responsibility to evaluate the accuracy, completeness & usefulness of any such information. Responsibility for the content of any advertisements appearing on this web site (including hyperlinks to advertisers’ own web sites) rests solely with the advertisers. The placement of such advertisements does not constitute a recommendation or endorsement by us of the advertisers’ products & each advertiser is solely responsible for any representations made in connection with its advertisement. You accept that the intellectual property rights subsisting in all materials on this website are owned or licensed by us & that you gain no interest in relation to them. By use of the site, such rights include rights relating to this web site’s look & feel, idea & concept, & confidential information, whether or not they are reduced to material or tangible form. You must not do anything, or omit to do anything, which may infringe our intellectual property rights except where expressly authorised by these terms & conditions. Copy, adapt, reproduce, broadcast, store, transmit, distribute, print, publish or create derivative works from any information or material on this Site, or Alter, decompile, disassemble, reverse engineer or modify any material or information that you receive from this Site which can be accessed through this Site; or Use or apply, for commercial purposes any material or information on this Site, without the prior written consent of STUART MEMBERY. In or as the whole or part of your own trade marks, or In connection with activities, products or services which are not ours, or In a manner which may be confusing, misleading or deceptive, or In a manner that disparages us or our products or services (including this web site). All trademarks, brands and names appearing on this Site are the property of their respective owners. You are provided with access to this web site only for your personal use. You may not without our written permission on-sell information obtained from this web site. This web site may contain links to other web sites. Those links are provided for ease only. Their accuracy & relevance cannot be confirmed. We are not responsible for the content or privacy practices associated with linked web sites. This Our links to other web sites should not be construed as an endorsement, approval or recommendation by us of the owners or operators of those linked web sites, or of any information, graphics, materials, products or services referred to or contained on those linked web sites, unless & to the extent stipulated to the contrary. Unfortunately, no transmission of data over the Internet can be guaranteed to be totally secured. Whilst we endeavor to protect such information, we do not warrant & cannot ensure the security of any information that you transmit to us. Any information that you transmit to us is transmitted at your own risk. Once we receive your transmission, we will take reasonable steps to preserve the security of such information. We may terminate access to this web site at any time without notice. In the event of termination you are no longer authorised to access the Site, but all restrictions imposed on you & all disclaimers and limitations of liability set out in the Terms & Conditions will survive. We may revise & modify these Terms & Conditions at any time by updating this web page. You are bound by such changes & should therefore regularly revisit this page to ensure you understand the current Terms & Conditions. Your continued use of the web site after a revision of these Terms & Conditions evidences your acceptance of that revision.